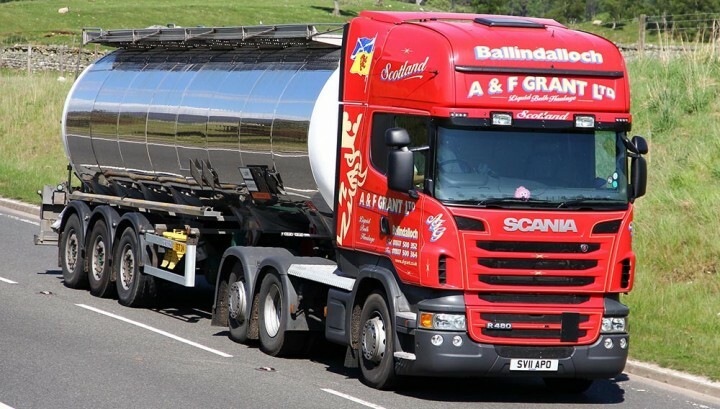 A&F Grant Ltd’s fleet is ever growing and the Company is currently operating around 26 bulk liquid tankers, nationwide. All tankers are general purpose and all are fitted with pumps suitable for pumping animal feeds. The Company has an experienced workforce and are proud of their low staff turnover rate. The Company specialises in farm deliveries and all drivers have vast experience in delivering to sometimes very difficult and inaccessible locations. All vehicles are “tag axle” providing additional traction, ideal for manoeuvring in tight spaces. To deal with all enquiries relating to bulk liquid transport there is a dedicated team of office staff in place who will endeavour to deal with your query and meet your needs and requirements wherever possible.